I am a Realtor offering a Boutique real estate experience. Its real estate done the way you want it done! My Boutique style service allows Buyers and Sellers to customize their real estate experience. 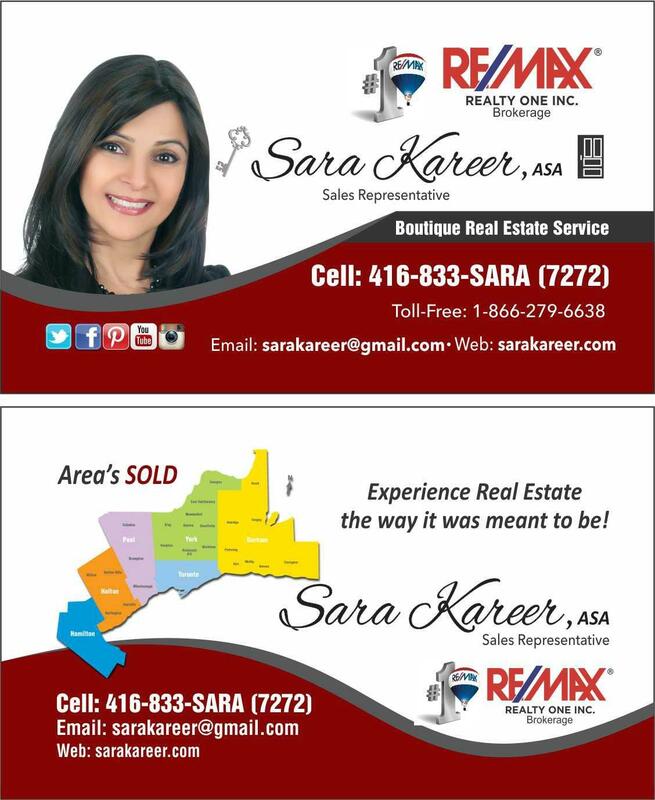 As your chosen Realtor, I am actively selling homes in Brampton, Mississauga, Oakville, Burlington, Hamilton, Caledon, Vaughan, and the Greater Toronto Area. I am dedicated to providing you with excellent personal service and real estate expertise. With my experience, knowledge, honesty, commitment and creativity, I would be happy to assist you with all of your real estate needs and deliver you the results you desire. I can have your home sold in the shortest amount of time, with your price, and your closing date. Choose me as your Realtor for life.